There it glimmered, an unimaginable future based on a plan that would physically and spiritually overtake our world of slavery and darkness through the birth of one babe. 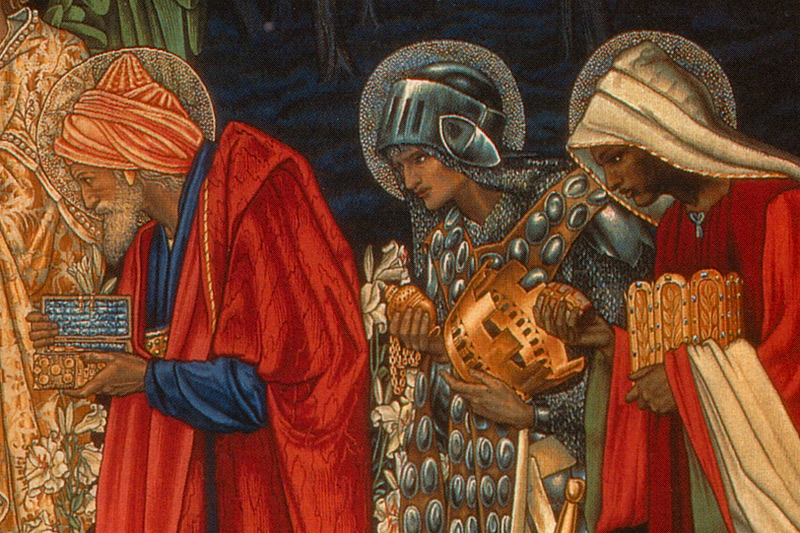 Isaiah saw it, and about 700 years later, three wise men known as the Magi beheld it too. Perhaps you think that they foresaw the birth of Jesus and His categorical impact on mankind — his gift of eternal grace and salvation for all who would want it — and the unparalleled feat of victory over death through his resurrection that would benefit, again, all of humankind. They actually saw this and much more. They gazed beyond the course of our terrestrial existence. They saw the domain of our Lord’s kingdom to which we are all invited to live past our earthly expiration. They practically tasted the water at the end of the stream who’s life force could only lead to a place of unsurpassed peace, love, beauty, and perfection. No wonder the three wise men were willing to risk everything: trekking over mountains and harsh, measureless deserts, braving weather and wilderness, hostiles, and demons — to find baby Jesus and deliver the best of their riches to honor Him. Nothing could be more important. They wanted to follow Him to that place where only the Messiah, their Creator, could lead them. Their joy in finding Him must have unleashed an outpouring of cathartically grateful tears that would strengthen their hearts forever. Do our lives mirror their journey? Do we press forward to find Him, knowing that all other enticing streams are secondary because only His gives us life? And every year, every corner of the planet ignites for an entire season to celebrate His Spirit of giving. As you read through the prophet Isaiah’s report, pause to envision what both he and the Magi discovered about Christmas. “Like a branch that sprouts from a stump, someone from David’s family will someday be king. The Spirit of the Lord will be with him to give him understanding, wisdom, and insight. He will be powerful, and he will know and honor the Lord. His greatest joy will be to obey the Lord. This king won’t judge by appearances or listen to rumors. The poor and the needy will be treated with fairness and with justice. His word will be law everywhere in the land, and criminals will be put to death. Honesty and fairness will be his royal robes. Leopards will lie down with young goats, and wolves will rest with lambs. Calves and lions will eat together and be cared for by little children. Cows and bears will share the same pasture; their young will rest side by side. Lions and oxen will both eat straw. Little children will play near snake holes. They will stick their hands into dens of poisonous snakes and never be hurt. This entry was posted in Childhood, Christmas, Community, Faith, Giving, Healing, Holidays, Kids, Love, Prayer and tagged Baby, Bible, Celebrate, Christmas, Christmas Season, Christmas Spirit, desert, Faith, Gifts, Giving, holidays, insight, Isaiah, Jesus, journey, Joy, Kingdom, Lord, Love, Magi, Messiah, mountains, planet, power, scripture, star, three kings, three wise men, world. Bookmark the permalink.